hCG stands for "Human Chorionic Gonadotropin," the pregnancy hormone, which is produced by the placenta and which is detected in the blood within a few days after implantation. When you test at home with a pregnancy test, you actually test for the presence of hCG in the urine. If hCG is present, then the pregnancy test will be positive, and that means you are pregnant unless there is a false positive pregnancy test. How does hCG increase during early pregnancy? hCG usually doubles every 48-72 hours very early in pregnancy and every 3-4 days later on until about 9-10 weeks of the pregnancy when it levels off. There is no single "normal" hCG level during early pregnancy and there are wide ranges of normal levels which you can check with our hCG calculator. What are normal hCG values? Blood hCG over 25 mIU/ml: You are pregnant! One single hCG reading is not enough to make a clear diagnosis. Several hCG tests days apart give a more accurate assessment of the situation. The blood hCG levels should not be used to date a pregnancy since these numbers can vary so widely. For postmenopausal women, an hCG level up to 14 mIU/ml can be considered normal. Read about slow-rising hCG levels. How does implantation affect hCG? Implantation occurs on average, 9 days after ovulation (with a range of 6-12 days) or about 5 days before a missed period. hCG levels are detected in the blood as early as 2-3 days, and in the urine 3-4 days, after implantation. A urine pregnancy test would be expected to be positive around the time of a missed period or 14-15 days after implantation (which can be as early as several days before a missed period). Check out our hCG calculator! What are good hCG levels in early pregnancy? Scroll down for 55 facts about hCG! It makes little sense to follow the hCG values above 6,000 mIU/ml as the increase is normally slower and not related to how well the pregnancy is doing. After 10-12 weeks, the hCG level increase will slow even further and eventually will even decline before reaching a plateau for the duration of the pregnancy. A normal hCG rise over several days prior to 6 weeks of the pregnancy usually indicates a viable pregnancy. Can hCG levels tell you if your pregnancy is healthy? Pregnancy blood hCG levels are not recommended for testing the viability of the pregnancy when the hCG level is well over 6,000 and/or after 6-7 weeks of the pregnancy. Blood hCG levels are useless for testing the viability of the pregnancy if the hCG level is well over 6,000 and/or after 6-7 weeks days of the pregnancy. In general, after 6-7 weeks the best indication of a healthy pregnancy is a good fetal heartbeat. Instead of the hCG, after 6 weeks or an hCG above 6,000 mIU/cc, the health of the pregnancy can best be confirmed with a sonogram to confirm the presence of a fetal heartbeat. Once a fetal heartbeat is seen, the hCG levels don't tell you much more about the pregnancy viability. There is a wide range of normal hCG values and the values are different in blood serum or urine. Urine hCG levels are usually lower than serum (blood) hCG levels. There is no single normal human chorionic gonadotropin hCG level that always indicates a healthy pregnancy and there is a very wide range of human chorionic gonadotropin hCG levels values as pregnancy progresses. Comparing changes in hCG titers with those of established expected curves can help the doctor determine what to do about the pregnancy and how to counsel the patient. However, there are many limitations to the serial assessment of hCG titers and the titers should never be used exclusively to replace clinical judgment based on symptoms or signs. 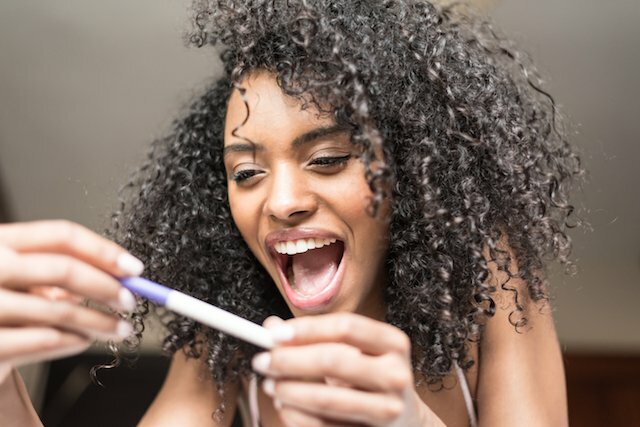 A normally rising hCG level would usually be a level that rises over 60% over a 48 period, though later on in pregnancy, the rise would be normally slower. Seebert et al reported in 2006 and Morse confirmed this in 2012 that a rise of at least 35% over 48 hours was proposed as the minimal rise consistent with a viable intrauterine pregnancy. Does a fast-rising hCG signal twins? You cannot diagnose a twin pregnancy just from the hCG. There is no sufficient scientific evidence that with twins there is always a faster-than-usual rise in hCG. Normal hCG values can vary up to 20 times in normal pregnancies. Variations in hCG increases are not necessarily a sign that the pregnancy is abnormal or that there are two or more fetuses. hCG is measured in milli-international units per milliliter (mIU/ml). There is a wide range of normal hCG levels and values and the values are different in blood serum or urine. Blood hCG levels are not very helpful to test for the viability of the pregnancy if the hCG level is above 6,000 and/or after 6-7 weeks of the pregnancy. Instead, to test the health of the pregnancy better, a sonogram should be done to confirm the presence of a fetal heartbeat. Once a fetal heartbeat is seen, it is not recommended to check the pregnancy viability with hCG levels. Urine hCG levels are usually lower than serum (blood) hCG levels. Blood hCG testing is much more sensitive than a urine HPT. This means that the blood test can detect pregnancy several days earlier than the urine test, as early as 2-3 days after implantation or 8-9 days after fertilization. Urine tests measure the urine HCG qualitatively, which means that the HPT results are either "positive" or "negative." Around the time of the first missed period (14+ days after ovulation), over 95% of HPTs are usually positive. About 85% of normal pregnancies will have the hCG level double every 48 - 72 hours. As you get further along into pregnancy and the hCG level gets higher, the time it takes to double can increase to about every 96 hours. Beta hCG levels usually double about every 2 days for the first four weeks of pregnancy. As pregnancy progresses the doubling time becomes longer. By 6 to 7 weeks beta hCG levels may take as long as 3 1/2 days to double. hCG normally reaches a peak level at about 8 to 10 weeks and then declines for the remainder of the pregnancy. The beta hCG level for a successful intrauterine pregnancy should be expected to increase by at least 35% in two days [Morse and coworkers (2012)]. For women who are having a miscarriage, the beta hCG should be expected to fall 36 - 47% over two days. A fall that is slower than this is suggestive of an ectopic pregnancy. Serial hCG values should not be used alone to determine whether or not a pregnancy is likely to be a successful intrauterine pregnancy, a miscarriage, or an ectopic pregnancy. Serial hCG values should be used in combination with clinical judgment, evaluation of symptoms and repeat ultrasound (as needed). Caution must be used in making too much of hCG numbers. A normal pregnancy may have low hCG levels and deliver a perfectly healthy baby. The results of an ultrasound after 5 - 6 weeks gestation are much more accurate than using hCG numbers. An hCG of less than 5 mIU/cc is usually negative, over 25 mIU/cc usually positive, between 5 and 25 mIU/cc it's "equivocal" which simply means we don't know. hCG levels are also higher in women carrying a female fetus when compared to women carrying a male fetus, so it is possible that the pregnancy test becomes positive later in women carrying a male fetus. A transvaginal ultrasound should be able to see at least a gestational sac once the hCG levels have reached between 1,000 - 2,000mIU/ml. Because levels can differentiate so much and conception dating can be wrong, a diagnosis should not be made by ultrasound findings until the level has reached at least 2,000. A single hCG reading is not enough information for most diagnoses. When there is a question regarding the health of the pregnancy, multiple testings of hCG done a couple of days apart give a more accurate look at assessing the situation. hCG levels should not be used to date a pregnancy since these numbers can vary so widely. There are two common types of hCG tests. A qualitative hCG test just looks to see if hCG is present in the blood. A quantitative hCG test (or beta hCG) measures the amount of hCG actually present in the blood. Other than for the diagnosis of pregnancy, hCG is also often monitored over time for reasons such as monitoring after a miscarriage, monitoring an ectopic pregnancy, and after a condition called "H.mole." The first detection of hCG in the blood depends on when implantation happens. Extremely sensitive tests which are not available in a regular laboratory can detect the hCG even before implantation. But with regular laboratory hCG tests, hCG is usually found in sufficient levels as early as 2-3 days after implantation. Implantation happens as early as 6 days after ovulation/fertilization (usually about 9 days after ovulation), so blood hCG can be found as early as 8-9 days after ovulation/fertilization. Pregnant women usually attain blood serum concentrations of at least 10-50 mIU/cc in the 7-8 days following implantation. About 21% of ectopic pregnancies (pregnancies implanted outside of the uterus) have a rise in hCG similar to an intrauterine pregnancy and 8% of ectopic pregnancies have a fall in hCG similar to a miscarriage. In a nonviable pregnancy, it also rises slower. At hCG levels above 1,000-1,500 mIU/ml, vaginal sonography usually identifies the presence of an intrauterine pregnancy. Within the first 2-4 weeks after fertilization, hCG usually doubles every 48-72 hours. An increase of at least 35% in 48 hours in early pregnancy is still considered normal. Below 1,200 mIU/ml, hCG usually doubles every 48-72 hours, but 35%+ is still normal. Between 1,200 and 6,000 mIU/ml serum, the hCG usually takes 72-96 hours to double. Above 6,000 mIU/ml, the hCG often takes over four days to double. More than two in three normal pregnancies have a doubling of the hCG every 72 hours. There is a wide variation of normal hCG levels. An hCG that does not double every two to three days does not necessarily indicate a problem. A maximum level is usually reached by the 10th or 11th week. After 10 weeks or so, hCG normally decreases. Normal hCG values vary up to 20 times between different pregnancies. A single hCG value doesn't give enough information about the viability of the pregnancy. Pregnancies that will miscarry and ectopic (tubal) pregnancies are likely to show lower levels and slower rises but often have normal levels initially. Some normal pregnancies will have quite low levels of hCG — and deliver perfect babies. Once the fetal activity has been detected by ultrasound in a normal patient population, the chances of a normal delivery are about 95%. Normal levels of hCG can vary tremendously. After 5-6 weeks of pregnancy, sonogram findings are much more predictive of pregnancy outcome than are HCG levels. Once the fetal heart rate is seen, most doctors will monitor the fetal heart rate rather than drawing hCG. After hCG injections (Profasi, Pregnyl) to trigger ovulation or to lengthen the luteal phase, trace amounts of hCG can remain in the body as long as 14 days or longer after the last hCG injection. This may give a false positive on a pregnancy test. Two consecutive quantitative hCG beta blood tests can determine whether the hCG is from an injection or pregnancy. If the hCG level increases by the second test, you are likely pregnant. At a blood hCG level in early pregnancy below 1,200 mIU/ml, the hCG usually doubles every 48-72 hours and it should normally increase by at least 60% every two days. Between 1,200 and 6,000 mIU/ml serum levels in early pregnancy, the hCG usually takes 72-96 hours to double. Above 6,000 mIU/ml, the hCG often takes over four or more days to double. The gestational sac is usually seen on a transvaginal ultrasound once the hCG levels have reached between 1,000 – 2,000mIU/ml. At an HCG level greater than 12,000 mIU/ml there should be a visible embryo with a heartbeat, though it could take up to an hCG level of 22,000 mIU/ml to first see the fetal heartbeat. After 9-10 weeks of the pregnancy levels normally decrease. It makes little sense to follow the hCG level above 6,000 mIU/ml as the increase is normally slower at this point and not related to how well the pregnancy is progressing. After two to three months the level of hCG will slow even further and may even decline before reaching a plateau for the duration of the pregnancy.